Well, it looks like Democratic Sen. Bob Menendez is projected to win re-election. The Jersey trash Democrat was engulfed in a major ethics scandal, in which he was accused of taking lavish gifts from Dr. Salomon Melgen in exchange for political favors. Melgen was recently convicted and sentenced to 17 years in prison for health care fraud. 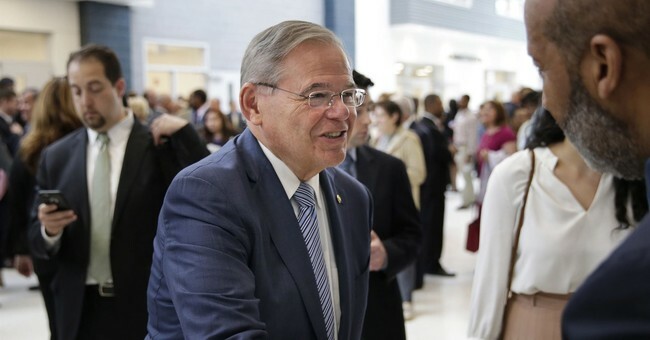 The months-long trial dented Menendez’s approval numbers, but it ended with a hung jury—and the Department of Justice declined to retry him. Republican Bob Hugin was said to have run an excellent campaign against Menendez, hitting him with endless attack ads. With no real competitive House races in the Garden State to help turn out key areas of Democratic support—party insiders were worried that their base wouldn’t turn out. These fears were complicated by the fact that Menendez’s approval ratings are in the toilet, with Democrats depressed over the ethics fiasco. As Election Day drew closer, the race was moved into the toss-up column, but in the end, the deep blue state remained true. It seems there is nothing Democratic voters in New Jersey won’t tolerate. Former Gov. Chris Christie said that while voters might not like Menendez, they dislike Trump more. This was thought to be a dark horse, but like Texas, maybe GOP hopes of a pickup in the Garden State need to be tucked away in a corner for a while…a long while. "I've heard lots of people say they didn't like Menendez, but they didn't like the president more," said former NJ Gov. Chris Christie on @ABC. And to show how there is no shame in this state, a juror from the Menendez trial is at his election night party.